Voice For The Voiceless: From Wal-Greens to Rudy's, When Will It End? From Wal-Greens to Rudy's, When Will It End? 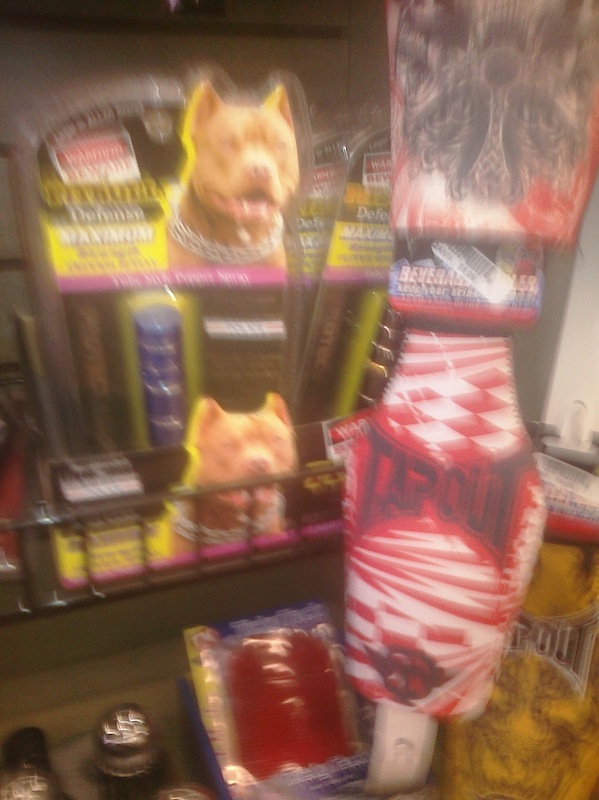 So, This Pitbull Defense Spray is really getting out there isn't it? From Wal-Greens to Rudy's, what's next Walmart? This product has to stop showing up on shelves if they can't advertise it properly. Why do they insist on using the PITBULL image to sell their product? It is demeaning, it's confusing. What are you trying to say with it? Protect yourself from the Pitbull dog, or It's strength is just like a Pitbull? Either or it is still a bad misconception of the Pit bull type dog and should not be solicited like it has been. There are people on the web who said this Product was and is a HOAX, that all those pictures on the web are fake. Okay then, would you mind explaining my PICTURES THEN? 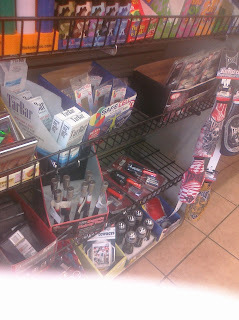 A bit blurred I know, but it was a rush job because the CLERK was getting a bit suspicious at our LOCAL RUDY'S. Do we have an understanding yet? This horrid product is real! The company that makes this misconception of Pit Bulls Not so much. If it was a real company, they would have brought in a DOG to take a picture of that dog, their company would appear in the search list, when I enter the words Pitbull Defense Maximum Strength Pepper Spray, but the only thing showing is the PETITIONS and BLOGS of those who are angry about this product... Just saying this company is not real, and if they are, MAYBE THEY SHOULD COME FORWARD and post below in the comment section. And for those who kept saying that this product was only sold in 5 stores you are seriously mistaken, it was 5 LOCATIONS not 5 stores, NC,PA,CA,TX,NJ. Walgreens has since then took it off their shelves, because people did protest about the product. As for Rudy's, they too have taken it off their shelves. This^Picture was taken on March 15th 2013 by me at 11:30 am. See that gap, that's were the Pitbull spray was. Thank you RUDY'S for removing such a discriminatory Product off your shelves and for being understanding to all us Pit bull type dog owners. Truly amazing. However, This Advocate/Activist will be keeping these pretty Hazel Green eyes open for anymore stores selling this awful product.